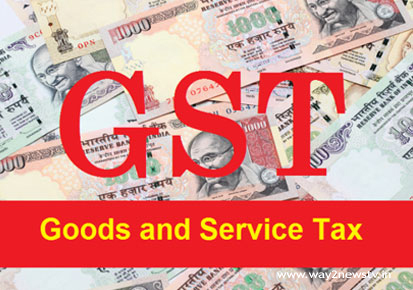 When the March monthly returns were issued till April 20, It is expected goods and services tax collections was to return from 93,000 crore to Rs 1 lakh crore. In the past five months, they have an average of Rs. 87,000 crore. Since the new tax system came into force in July 2017, GST collections have been steadily rising. Three months per month More than 90,000 crores of gross collections have fallen in the next two months. For most of the transactions in November, the collection in December 2017 is Rs. 84,000 crore, and Rs. 89,300 crores has been improved. GST systems are now stable. Businesses have better clarity towards the tax system. In the initial months, the economy also recovered after the disruptions. GST rates have been major changes in the months of October and November 2017. Decrease rate is reduced by 50 per cent to 50 percent of taxes. The rate for 178 items was reduced from 28 percent to 18 percent. This has led to a lack of balance in collecting. The applicable tax rates and the lack of clarity on the input tax credit mechanism are also lacking. In addition, tax experts explained that the demand level in the economy is also marginal. Despite this kind of confusion, the returns issued in August, September and October indicated a significant gross in the July-September quarter. However, in November, the monthly recoveries of the transactions were Rs. 9,200 crore decrease In the next month, they will get another Rs. 2,200 crore. There is volatility in rates. Partner Sachin Menon, the head of indirect tax department at KPMG, said people are not paying their taxes properly. The rates have been stabilized, and since December, the collections have improved after business has improved, "he said. He said the fear of falling on the deficit would be inevitable introduction of the current bill. Partner Bipin Sapra, in Ernst & Young, commented that the Income Tax Credits, especially those in exchange for a change in credits, had a negative impact on the October and November monthly tax collection. Bipin Sapra said that due to confusion over tax burdens, businesses were unable to fully utilize input credit within the first three months and there were some restrictions on transactional credit claiming. With the October-December quarter, these claims were downgraded and the collections were reduced for months. But, since the first three months have been relieved, Sapra said that much of the input tax credit now comes from. The change in terms of input client credit on capital goods also affected the collection. In the Central Excise / SEN VAT system, business firms were able to credit only 50 per cent of the taxes paid for the first year. But, in GST, enterprises can make a 100% credit in the first year. They can also claim 100 percent transitional credit. Furthermore, in the initial months the tax refund that was paid beyond the requirement remained at the government. The tax refunds and adjustments paid beyond the requirement have begun in the month of December. Festivals, wedding anniversary demand and year-end purchases are higher in tax collections. R. Kavitha Rao, professor at the National Institute for Public Finance and Policy, said November figures are always poor. December is always better for indirect tax collection. This is the reason for the recovery in the collection of returns in January. She hopes that gradual improvement will improve as the rules are improved.